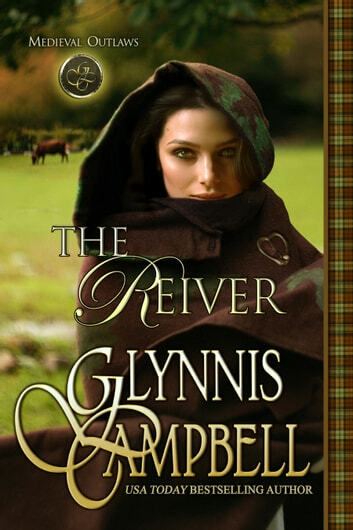 *From USA Today bestselling author Glynnis Campbell...*A cattle-thieving Scottish lass chooses the wrong cow to steal and tangles with a laird who heals her heart and tames her wild ways. Raised by her abusive uncle, Cristy Moffat will do anything to impress her brawny cousins, including reiving the neighbor's cattle…until she steals the wrong cow and is caught in the act by the new laird. Brochan Macintosh has his hands full, repairing his tower house and raising his motherless twins. But when his plans to trade Cristy for his cattle go awry, he wonders if he wants to ransom her after all. 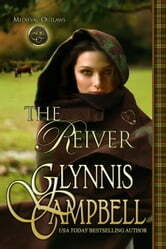 Can he tame her wild ways and give her a family to love, and will Cristy be the one to heal his loneliness? I really enjoyed this story, I was drawn in from the very beginning and while I knew the outcome, I found myself still completely entranced with this delightful story. This is the first book I've read from this author and I definitely plan to read more of her work! I really felt for Cristy as she has no one who even cares for her! A wonderful, descriptive story!! Fast pace, fun, exciting, grabs your attention from the first page. It is a story about a young lady that has been abused by the uncle she lives with and a man who lost his wife years before. They meet a strange lady who is serving beer in a keep, she tells them a story about a comet that will change their lives forever. This is one author that knows how to draw her readers in with a wonderful talent for story telling that hooks you from the first page. Both Cristy and Brochan have a sad story to tell, it really broke my heart at all these two have been through and are still dealing with. It depends on how you look at it, either it will be Cristy and Brochan worse day of their life or the best they will ever have when Cristy steals a cow and gets caught by Brochan. He has is own troubles trying to raise twins without a mother. He decides he is going to do a trade but things do not go as planned which makes him rethink what he was thinking to start with. What follows is a wonderful delightful story with a twist on romance that makes you smile and laugh as well as a little cheering and maybe a bad word or two. I really love this authors writing style, her humor and the way her mind works. It is a delightful story that grabbed my attention from the first page until the end. I really didn’t want it to end. The plot is wonderful with wonderful likable characters that you come to love. I enjoyed watching them work through issues and find a love like they have never known. Each has to get through some very trying times and learn how to deal with each other as well as trust the other. I know who ever picks this up will just love being taken back in time watching these two beat around the bush and find love. New author for me and I enjoyed the story and the book all around but it was missing that something. I think that Cristy was overshadowed as a character and stronger written than Brochan and I think it felt off because of that. He's a Laird of his keep and she was a stronger character than he was. It was missing something and I dont know what and I know another reviewer or 2 mentioned the same thing. The little boys were also only 5 years old and they seemed way older like 12. I felt for Cristy's plight but in a way she was so accepting and felt she deserved to be treated how she was. I think the character development was just spent too much on one character when there are clearly 2 MCs. Brochan's character shined through very little and I could feel he wanted to but was held back. Enjoyable but just an ok read for me. Brochan and Cristy's story is fun, a little dangerous, a little mystical and those twins just make the story! I love medieval set stories! This was a wonderful tale. I really enjoyed it. I was able to read it in its entirety all at once. I like doing that. For being a short story it had all the things you like to read in long novels. Thank you for the great read you gave me.